LCD Soundsystem's reunion is in full swing. Following previous releases "call the police" and "american dream," the band has shared a third installment "tonite" from their upcoming reunion album American Dream, set to be released September 1st. "Tonite" was originally debuted during their live Brooklyn Steel shows back in June and is now finally available in studio recording. The song is reminiscent of LCD's more danceable tracks, with its groovy bass line and heavy synthesizers. The vocals are vocoder infused and talk-sung, which somehow works. The lyrical content is essentially James Murphy rambling about big ideas: growing older, the psychology of the music industry, and getting caught up in your own thoughts. It's a lot to digest, but it is impactful. The track comes hand-in-hand with a music video, the first to be released from American Dream. The band is seen on a rotating stage with retro-inspired camera work and flashing lights. Murphy looks right at you while he's singing, demanding your attention. 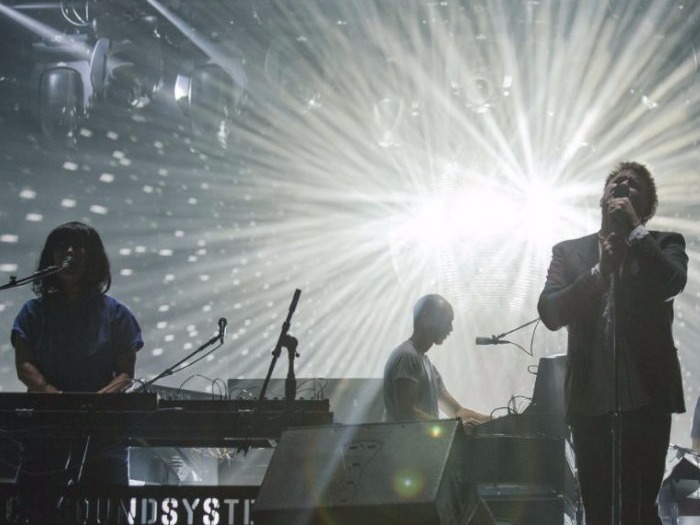 Because of the track and video, it's safe to say that LCD Soundsystem has something to say. We're listening.